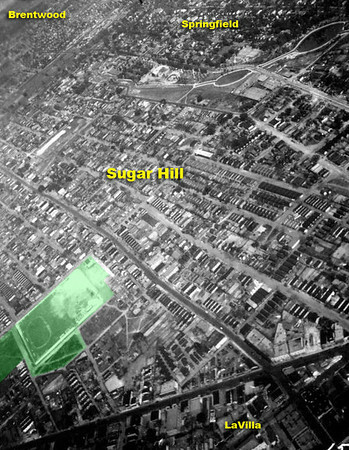 In every vibrant urban community you'll find a vibrant public space, and Jacksonville's Sugar Hill was no exception. Today, Metro Jacksonville remembers the city's largest public space for African-Americans during the Jim Crow era: Wilder Park. The economic prosperity associated with Jacksonville's growing African American community in the 1920s supported new and exciting social opportunities. 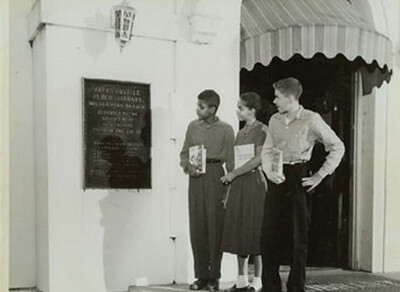 To serve this rapidly growing population, the Jacksonville Public Library opened the Wilder Park Library at the intersection of 3rd & Lee Streets in 1927. Three years later, the descendants of Charles B. Wilder donated thirty acres surrounding the library to be used as a recreational area for Jacksonvilles African American community. Accessible via the Davis Street streetcar line, Wilder Park was the largest public park in the city for African Americans. It included a track, a baseball diamond, a diamond ball field and the branch library. 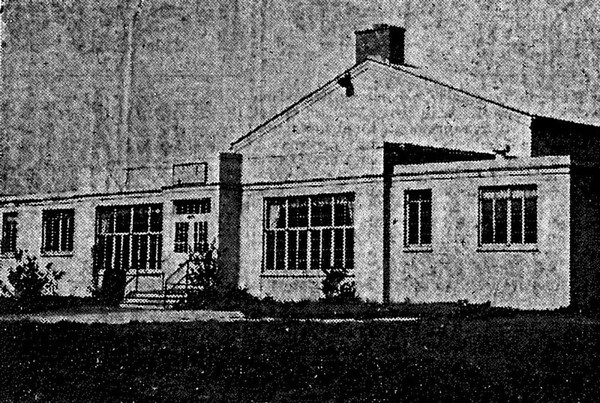 The playground accommodated several thousand spectators at football games, and within a decade of its opening, the Wilder Park branch library had grown to contain "one of the highest volumes of circulations" of any of the city's libraries. These amenities were joined by the opening of the Wilder Park Community Center in 1938. Located at the intersection of 3rd & Mt. Herman Streets, the community center provided a number of recreational and social activities for Sugar Hill, including Saturday night dances sponsored by the "Mummies Club." Wilder Park was located just north of Kings Road and west of Davis Street. The Wilder Park Branch Library. The entrance of the Wilder Park Branch Library. 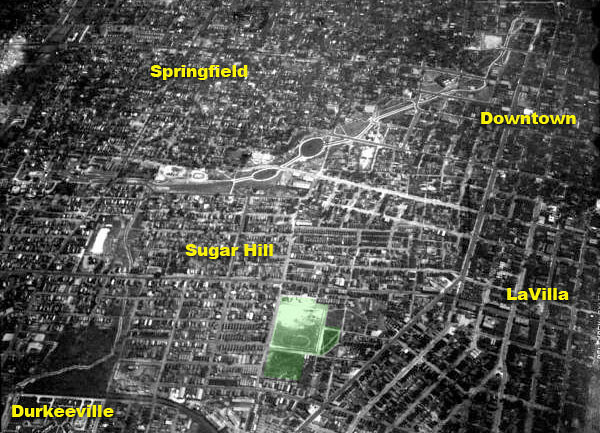 A 1939 aerial highlighting the location of Wilder Park. 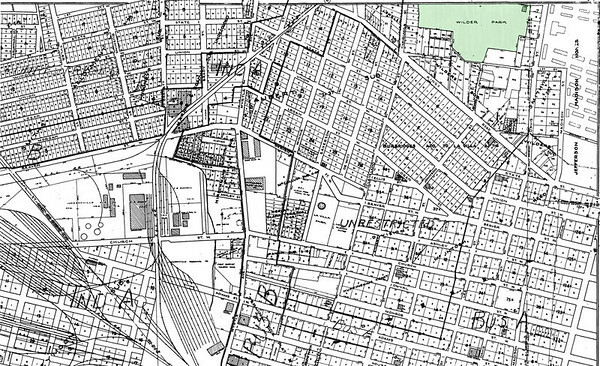 Wilder Park was replaced by what would become I-95 in 1958. Jacksonville's grand public space for the African American community would be short lived. 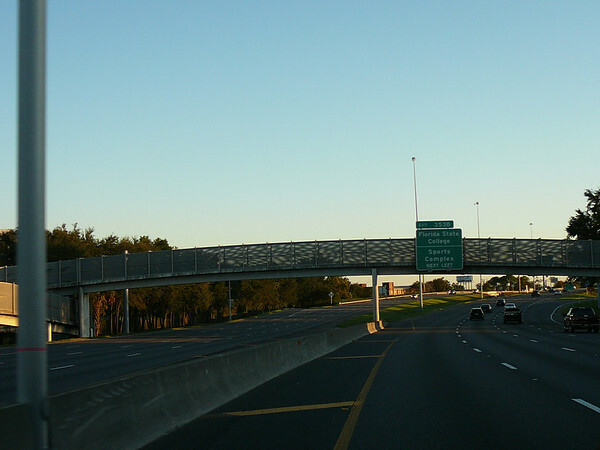 Established by the Florida Legislature in 1955, the Jacksonville Expressway Authority found a new use for Wilder Park and the vibrant community surrounding it. That use would be to serve as the belly for a new expressway that would facilitate Northside automobile movement between the Trout and St. Johns Rivers. Enamored by the discriminatory practices of Robert Moses, this superhighway would also serve as a dividing line between the highly minority populated Northwest Jacksonville, downtown, and the majority white (during Jim Crow era) neighborhoods north of downtown. 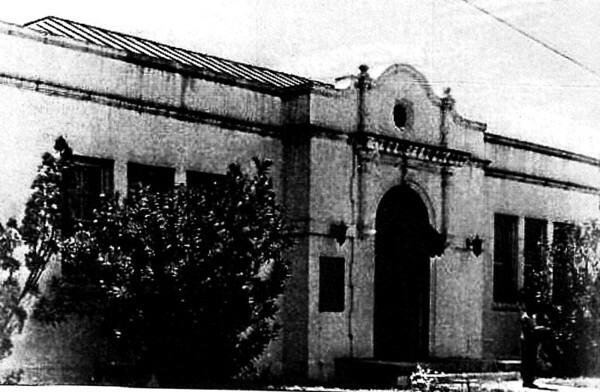 Jacksonville Historic Commission records indicate that the Wilder Park Community Center was demolished to make way for what would become Interstate 95 in 1958. The completion of Interstate 95 in 1960 put a concrete barrier between the library and neighborhoods to the west, where a major community park had existed since 1930. In 1965, the severed Wilder Park Library branch closed and was replaced by the Myrtle Avenue Branch, which still exists today. The old building housing this proud public institution was demolished in 1972 in preparation of the failed Hogans Creek Urban Renewal Area Project. Today, not much is left of this grand public space or the community that surrounded it. Looking at the present day location of Wilder Park.